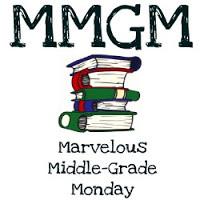 IMPORTANT DECEMBER MMGM UPDATE: MARVELOUS MIDDLE GRADE MONDAY will be here on December 3, 10, and 17. Since the final two Mondays of December fall on Christmas Eve and New Year’s Eve, MMGM will take a break. On December 24th I’ll have a holiday wish with links to all the bloggers who have participated in MMGM this past year. On December 31st, I’ll reveal my picks for MG’s best in 2018 with a big GIVEAWAY! It’s NATIONAL CAKE DAY! Have a slice while you read all these great features and reviews. Here at ALWAYS in the MIDDLE I have a review of ANOTHER D for DEEDEE by Bibi Belford. Click the cake to read all the details and then check out all the other cakes for more reviews and features. Susan Uhlig recommends the National Book Finalist The Truth as Told by Mason Buttle. June McCrary Jacobs at Reading, Writing, & Stitch-Metic has the final selection in her November theme of World War I & II books with a review of Who Were the Tuskegee Airmen? Suzanne Warr at Tales from the Raven spotlights Book of a Thousand Days, by Shannon Hale. Patricia Tilton at Children’s Books Heal reviews a hilarious new chapter book series, Prince Not-So Charming: Once Upon a Prank (Book 1) and Her Royal Slyness (Book 2) by Roy L. Hinuss. Beth Mitchell at Imaginary Friends has a review of Escape from Aleppo by N.H. Senzaiat. Rosi Hollinbeck has a review of FINDING LANGSTONE by Lesa Cline-Ransome. Don’t miss her links for writers as they’re always helpful. Dorine White at The Write Path has a review of Dragonwatch #2- Wrath of the Dragon King by Brandon Mull. Great set of links, thanks. Best wishes for a wonderful holiday season! Great job again, Greg. Thanks!